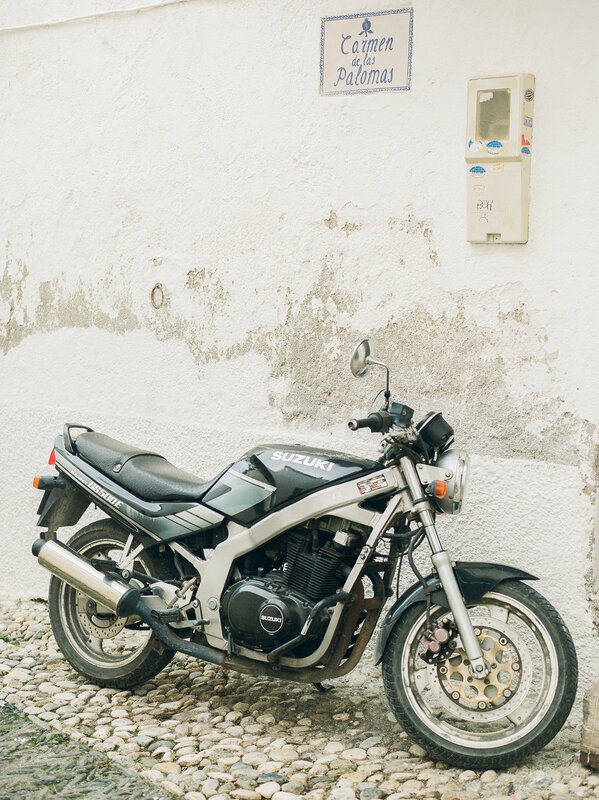 I am so excited to share with you my Spain adventures! This trip was incredible!! The people, the sights, the adventure. I don't think I'll ever forget it! Because the trip to Spain and Portugal was so in depth and we covered so much ground in a 13 days, I'm going to create three separate blog posts. 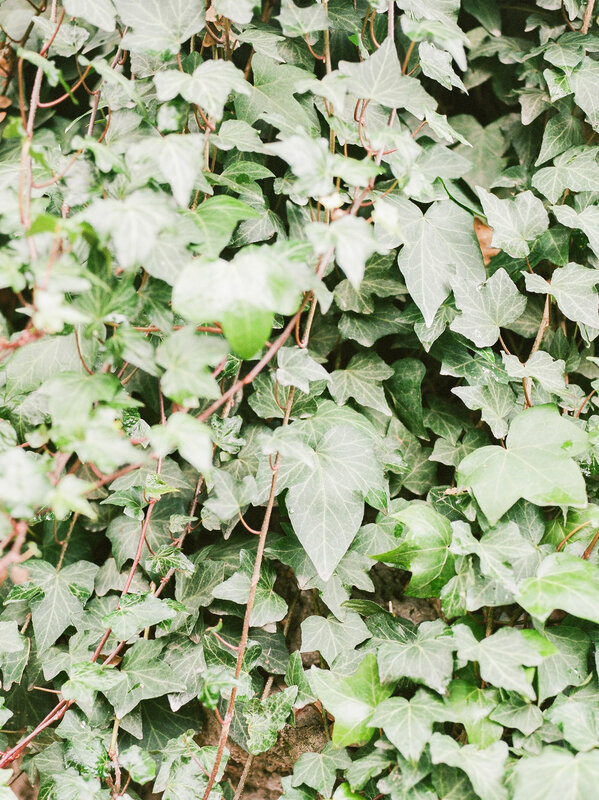 For the next two weeks, you can expect to see more of my adventures unfold here on the blog. This trip started out as an idea that transformed into a reality. My mom knew of people at her church who were all planning on going on this trip together. There were spots open so I encouraged her to sign up. My mom, just like me, has caught the travel bug. After losing both of my grandparents last year in less than a six-month span of each other, our family was reminded of a few simple truths. We were reminded that life is short, we're not always promised to have good health and to seize every opportunity. With that being said, I told my mom she needed to go and have an adventure of a lifetime. After encouraging her, and being a little envious that she might be traveling to Europe, I looked at our calendar and realized that I could actually join her. So I signed up too! We went with an amazing group of 20 other people from Chico. To give you a little visual, I was the youngest person on this trip by at least 20 years! By the end of the trip, these 20 people became like family. They are some of the most sincere, wise and amazing people. After coming home, I was really sad to not be seeing their faces every day. Now that you have the backstory of this group, I wanted to share with you the amazing sights we saw and recommendations for each blog post section. I brought both my medium format film camera and my digital camera just in case. 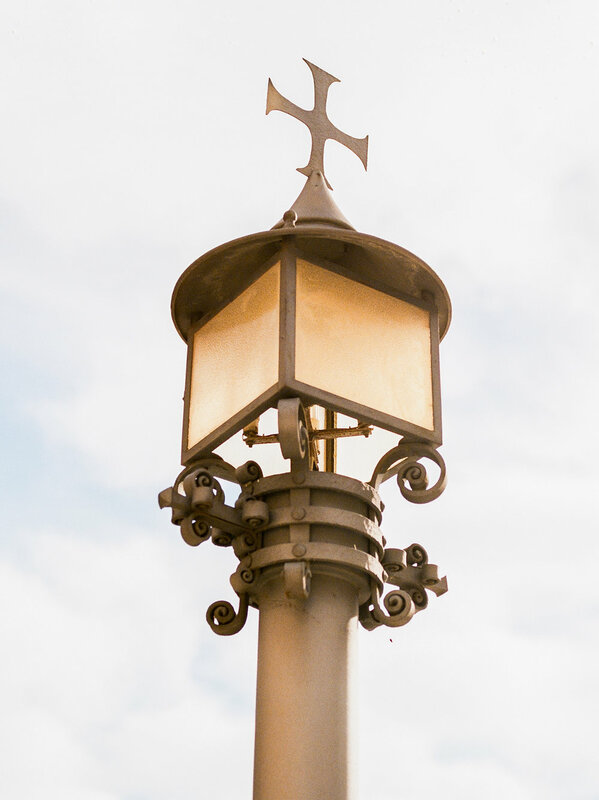 I mostly photographed everything in Spain on my film camera and I'm in love with my film scans! It was so fun shooting on film and not being able to see my photos until a couple weeks after getting home. The joyful anticipation and magic when I got my scans back was 100% worth it! 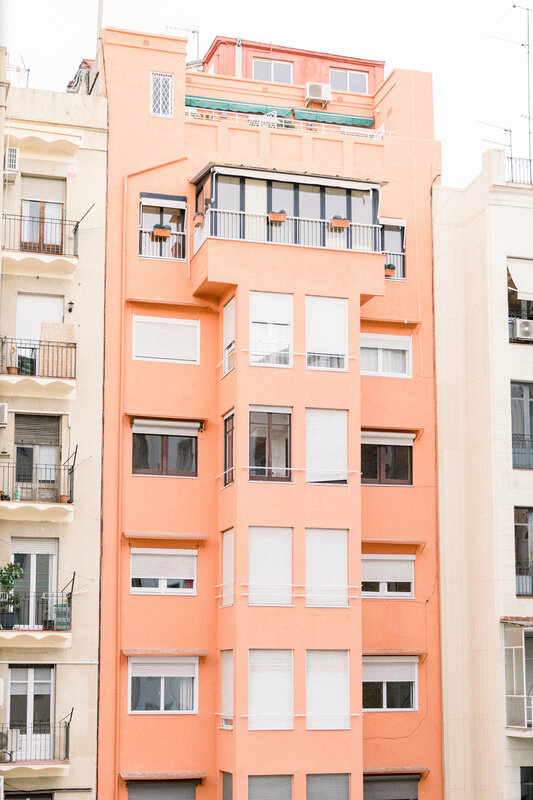 We flew to Barcelona from San Francisco and spent our first two nights in the city before heading to Madrid and beyond. Barcelona is an amazing city well known for Antoni Gaudi's unique architecture. Barcelona is also the place where the 1992 Summer Olympics were held. The city is beautiful and has breathtaking views. Many people commute using a moped or scooter. I was pretty obsessed with seeing these all around the city, especially the colorful ones because Stephen and I have a little blue moped of our own. Casa Bastllo - Where Gaudi used to live. It's in a great neighborhood with lots of shops. 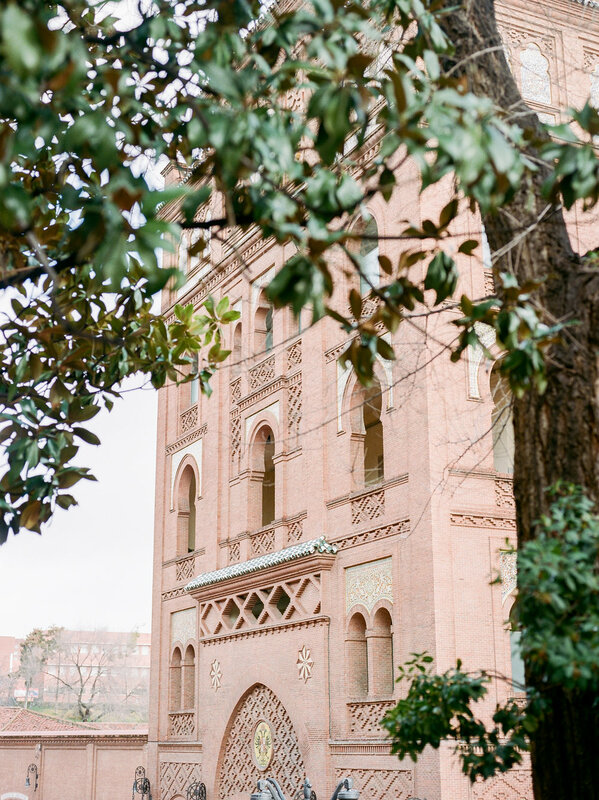 Plaza Cataluna - A famous square where the old and new city meet. Basilica of Sagrada Familia - Gaudi's masterpiece and well-known Cathedral that is still under construction. This place took my breath away! 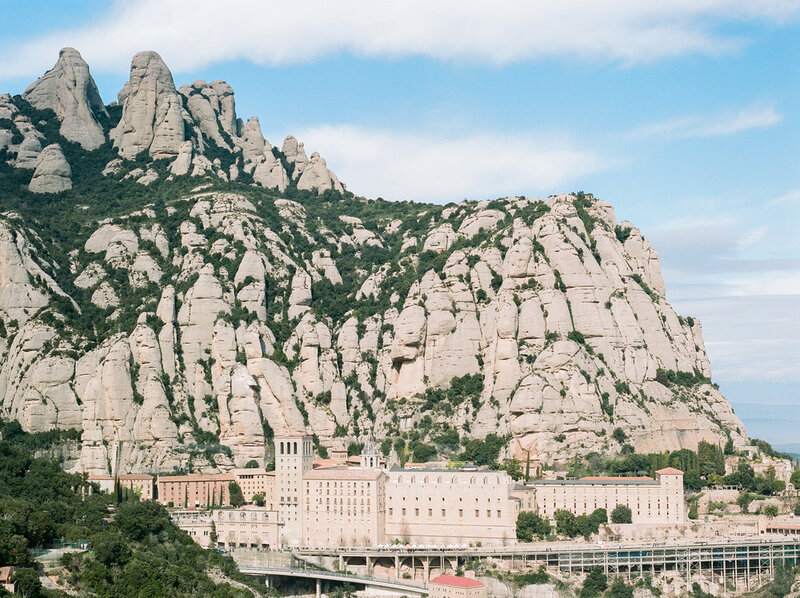 After leaving Barcelona we headed about two hours outside the city and stopped at Monserrat Mountain. If you're traveling to Barcelona, this is a must see in my opinion. It is a monastery hidden deep in the mountains. Many rock climbers go to the area and there are beautiful hiking trails around. I would say spend a few hours there and eat lunch before heading back to Barcelona or onto Madrid by train. After leaving the Montserrat, we went to a train station and took a high speed train to Madrid. 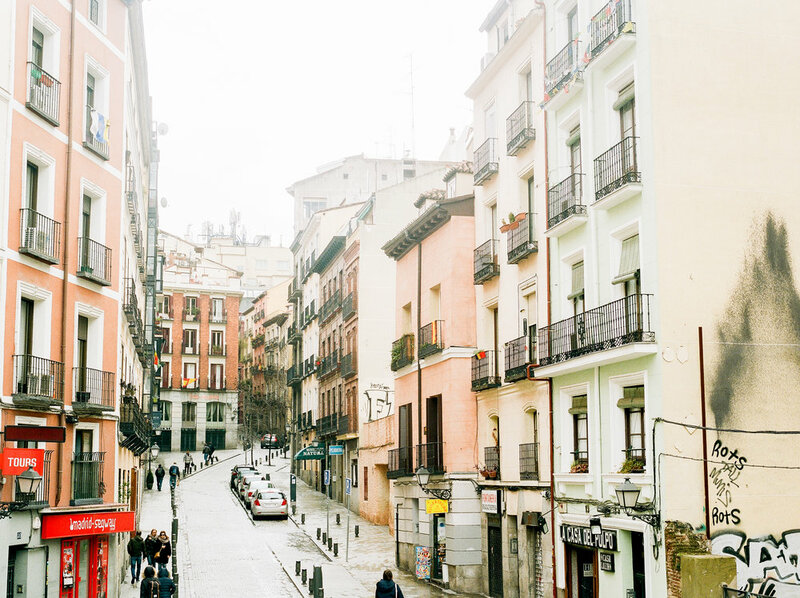 Madrid is the captitol of Spain and is a beautiful city. It's very different from Barcelona but still has lots of charm. 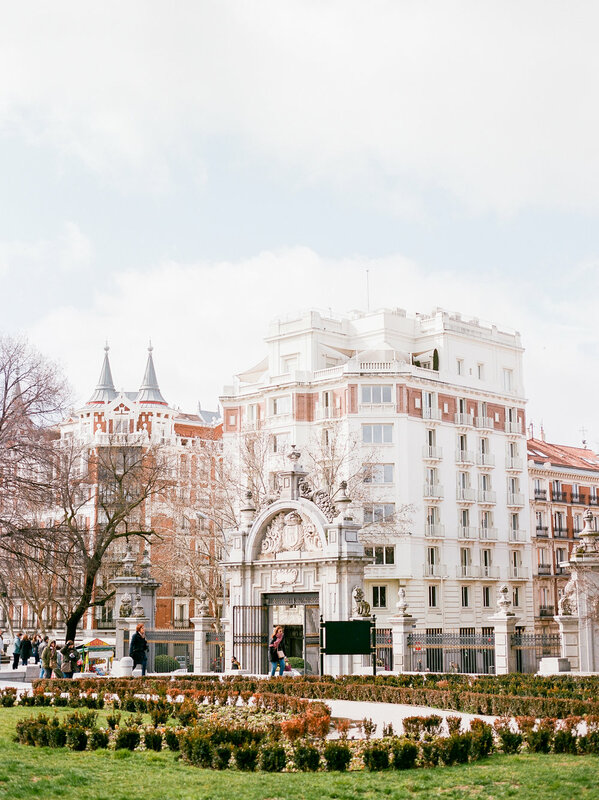 Below are some places I would recommend to go in Madrid. Royal Palace - Offical residence of the Spanish Royal Family. It is amazing and has over three thousand rooms which you can tour in. Gran Via Boulevard - Knowns as the Spanish Broadway. I suggest wondering on the side streets to find the best Cafe's and get away from the tourists. Park Retiro - This park was beautiful! 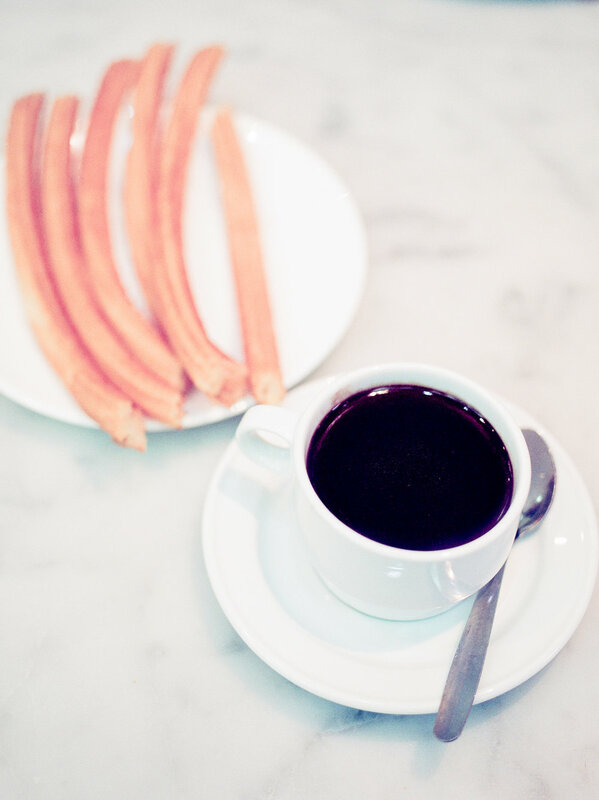 You could spend a lot of time walking around or stop by a Cafe inthe park for churros and chocolate. Make sure to stop by the Crystal Palace in the park too! After leaving Madrid, we headed to Toledo. This was one of my favorite stops during the trip. Toledo is a famous city for the blending of Christians, Jews and Muslims living in harmony with each other. The city is up on a hill with a wall going around it. Although there is a modern city outside the walls, the old city is very much intact like it used to be. The streets are extremely narrow and only certain cars can drive through. The view alone from this place took my breath away! Stay tuned for Part 2 and Part 3 coming later this month! All these photos were shot on a Pentax 645N on Portra 800, 400 and Fuji 400 scanned by The Find Lab. Below are some iPhone photos of my mom and I in these places.